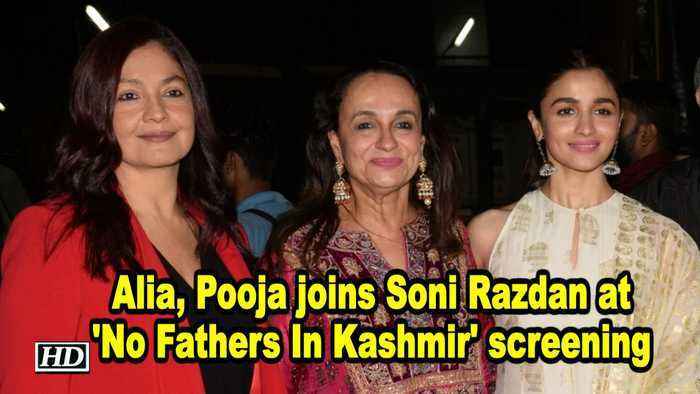 The screening of the Soni Razdan starrer 'No fathers in Kashmir' held on Wednesday and saw Bhatt family coming out in full strength to support the film. No Fathers In Kashmir Screening : Alia Bhatt calls out her step sister Pooja Bhatt for a photo op for media. Watch how she ignored Alia. Actress Alia Bhatt's mother Soni Razdan, who is a veteran actress, says she does not like to talk about her daughter's personal life in public. Alia, while receiving the Best Actress Award at an award..